We a have made a name for ourselves through our energy and commitment to creating that “buzz” & “excitement” required for memorable events; having the crowd dancing until dawn or your feet hurt – whichever comes first! Paul, our sensational Front-Man, including our beautiful and soulful female vocalists Catherine, or De, will NOT rest until everybody is on the dance floor and having a great time, they really know how to get people up off their seats, their feet moving and the party going! 2017 was a great year and as we enter a new season, we are ever popular for weddings and private parties but we are attracting many more London based corporate functions, keen to hire entertainment who can cater to various musical tastes throughout the day or event. 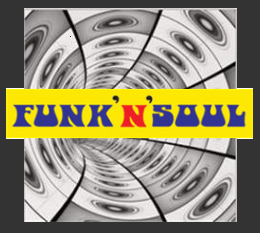 Hiring the ‘Funk’N’Soul’ complete package is a great way to save money, time and stress at your event, avoiding the need for multiple sound systems, onsite technicians and additional performance acts!